You never know quite where a conversation with Francis Kurkdjian is going to take you. He's at Selfridges, talking to a group of writers about the latest additions to his own perfume house: Amyris Femme and Amyris Homme. He explains he was inspired to make the scents by an exercise at ISIPCA - where he's been teaching for the last two-and-a-half years - during which a student presented him with amyris oil (aka West Indian sandalwood). He goes on to say that he wondered if he could somehow link the material with the fact that, in French, its name sounds like "soul of iris". He states that he wanted the resultant perfumes to be for those times when you need to rush out of the house and you have only ten minutes to get yourself ready, times when "you have to be sharp". So far, so safe. But things become somewhat more amusing when he's asked what sort of woman he had in mind when composing Amyris Femme. "The problem is that now, I can't find a young, iconic French woman," he says. "Vanessa Paradis is young, but you know what, I'm not sure about her. Maybe I'm getting old or old-fashioned, I don't know. I don't think that Audrey Tautou is elegant. I don't see elegance, because to me elegance has a lot to do with posture. And the problem now is that the posture of most modern women is... I don't know... there is no neck, there are no shoulders. It doesn't appeal to me at all. It's all about the body language. If I try to find someone in their 20s or 30s with that sort of strength, I can't see anyone. It's very hard. That kind of strength is missing nowadays. I think it doesn't exist any more." Someone suggests Keira Knightley as an iconic female. "No! She's terrible! But Kate Middleton, the princess of Wales, she has something. I think there is something effortless about her." There's a suggestion from one of the journalists that perhaps this certain something is a 'cabin crew' demeanour. "Maybe! Yes, yes, you're right! I agree. And this is part of the posture. 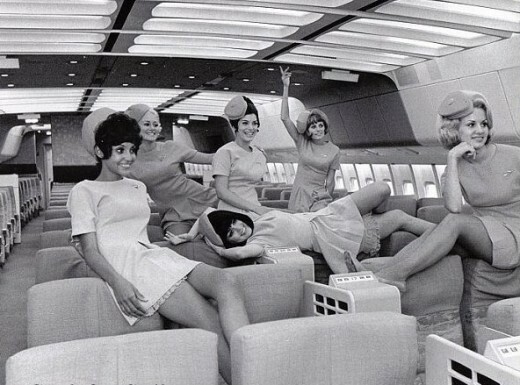 And when you go on Air France, the attitude of the air hostesses is all about that." A voice from the audience begs to differ. "Yes, I agree, they're not that elegant any more. But, you know what," he says with a grimace, "if you fly with Delta or American..."
Thankfully, he's also happy for the conversation to turn to more technical matters. When asked about the way he combines synthetic ingredients with naturals, he states that the latter are used to form a scent's "skeleton", whilst the former provide strength, longevity and structure. "In my own house, I use 40% naturals. I try to give a natural feeling to things that are not natural. And the bridges that I build between the natural products are mostly chemicals." Are some synthetics particularly important in his compositions? For instance, in the Amyris scents, are there any specific synthetics whose absence would cause the whole to collapse? "It doesn't work that way. It's all about a net. It's all about connections. Sometimes the materials are inter-dependent. If the formula is well built and short enough, you can remove half of the formula, and it still smells like the formula. You can't say it's about one ingredient. It's like everybody says Eau Sauvage is about the hedione, which is totally false, because you can make an Eau Sauvage-type with no hedione. "For me, the perfect perfume is when you feel that you're not wearing a perfume. Because perfume is an artifice. You can pretend it's 100% natural, but in itself, it is an artifice." 1) Please be sure to come back on Friday for what will hopefully be a fun post. 2) Don't miss a very special give-away right here on Tuesday 4th December. 3) Also on 4th December, visit TalkRadioEurope.com at around 12:20 pm UK time for an interview with yours truly. So, what is this guy actually about? I don't know if he's being feminist or sexist. Does he himself know? And can he find a young, iconic French male. Fun post, btw. Keep it up. Don't think too hard about it, Raya; your first instinct was right. Sexist as all hell. Raya, he did actually say that he wouldn't find it too difficult to name a young, iconic Frenchman, but he didn't offer any examples. Ari, I wonder if the woman in the room found his comments sexist. They certainly didn't make any complaints. Perfumeshrine, I confess I'm not sure what you mean. Ari, sorry, the above should say *women* not *woman*. Maybe he want us to be wearing the corsets again? Maybe then we will have necks again. But I don't complain too much. I like his work. And at least he has personality. Beata, I think it's fair to say most writers I've come across find FK's candour refreshing. Thank god for Francis. At least life's never bland when he's around. Suhail, that's true. It certainly doesn't seem to be bland. Francis Kurkdjian is 43. I don't find this type of contrived outrageousness particularly cute past the age of 23 or so. Well, i actually think the second part of this interview is more interested than the first. Everybody else gets worried about the first half, but maybe this something about them. I enjoy reading about the actual perfumery. Mike, FK is certainly interesting to listen to when he starts describing his work. But then I dare say many people get bored when he starts getting technical. I'm a woman. If I were to say that I don't think today's young men carry themselves with as much style and cool as yesterday's young men, could I then be accused of sexism? D, that's a fair enough question. And here's another one. As a woman, if you were to say that today's *women* don't carry themselves with style, then would you be accused of sexism? I notice no-one brought up British Airways cabin crew!!!!!! James, I can't say that anyone did.